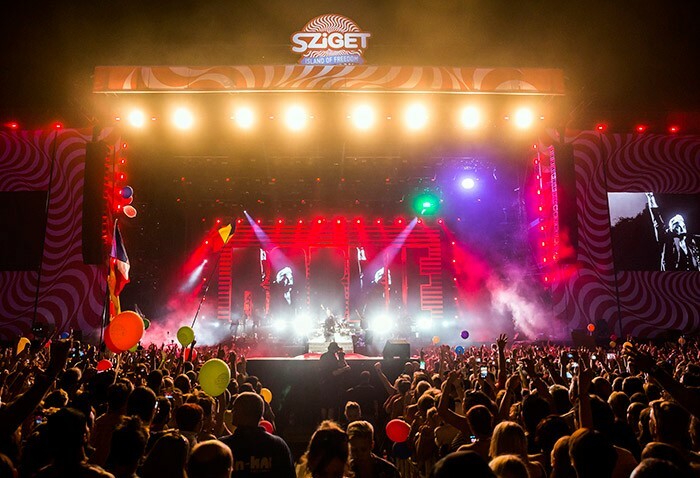 Hungary – Since its birth in 1993 Sziget Festival has become one of the most popular multicultural events in Europe, attracting fans from over 70 countries. 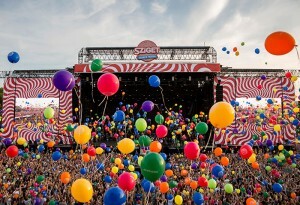 The festival is hosted on an island in the heart of the Hungarian capital that has become known as the Island of Freedom and the whole festival is marked by joyous celebration. This year Martin Audio joined the party with MLA making an auspicious debut, its fifth new festival of the season, courtesy of Capital Sound. 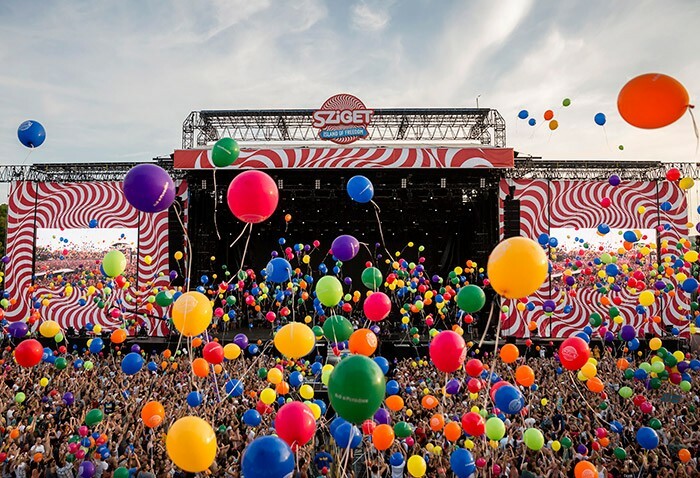 Held on a 108-hectare (266-acre) island on the Danube in north Budapest, Sziget Festival broke all attendance records on an expanded site, designed to hold a paying audience of 90,000, and at one point numbered 100,000, including production crew, artists and guests. For production company Capital Sound, now in their tenth year at the week-long event, the challenges were immense. 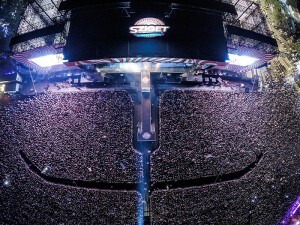 Tasked with providing world class sound reinforcement for world famous headliners such as Robbie Williams, Kings of Leon, Florence & The Machine and many more, they were working in fierce heat and dusty conditions. 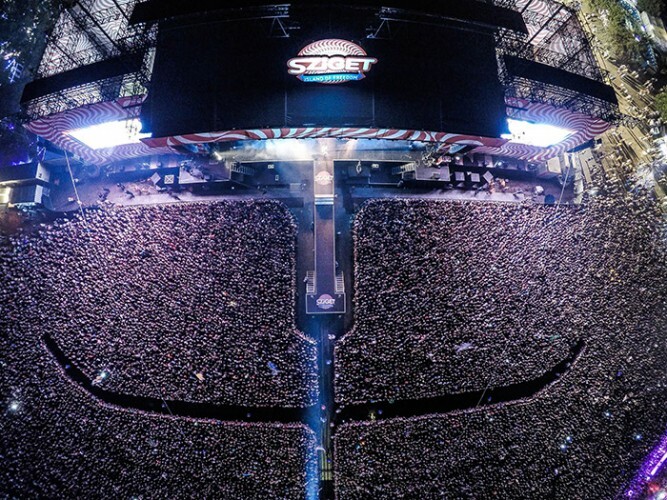 But Capital was eager to showcase MLA, having already successfully fielded it for the Sziget Organisation’s other front line festivals, Balaton Sound in Zamárdi and Volt in Sopron. Capital’s Paul Timmins explains: “The event itself has grown from humble beginnings 22 years ago. By the time we got involved in 2006 it was already a good sized festival, and the biggest change since has been in the quality of the production. “We wanted to demonstrate the uniqueness of MLA, in terms of control, but really showcase its performance and so this year we made sure the system was designed to give sufficient headroom. We had existing data and graphs but adjusted this to take account of the fact that the stage positioning had moved slightly. Of the high calibre sound engineers and system techs who accompanied their artists, two who relished the opportunity to be mixing through MLA once again were Paul Ramsay (Kasabian) and Nigel Pepper (The Foals). The performance and durability of the main MLA hangs was only matched by the role played by the delay towers. Supervised by PA tech Joseph Pearce at FOH and Hungarian MLA tech, Marci Mezi, the main PA which comprised two 17-element drops and an MLD Downfill at the base was supported by two side hangs of nine MLA and an MLD Downfill. As for the four MLA delays which performed such a critical role, the centre two comprised nine MLA (plus a Downfill), the outer two used six MLA (plus a Downfill) — and a fifth, comprising four MLA Compact accompanied the relay screen immediately behind the mix position, 50m from the stage. LF extension was provided by four WS218X on each delay position in a cardioid fashion. Other Martin Audio components included 18 W8LM Mini Line Arrays nearfills across the front of the stage and there were a number of stage fills reinforced by Martin Audio WS218X subs.